Our open-air Triumphator space also creates a typically Bavarian atmosphere. It’s particularly well-suited for standing receptions or delicious buffets. It’s the perfect place to have a chat with other guests or stretch your legs during the party. The Triumphator space is air-conditioned and heated, and therefore at a comfortable temperature all year round. Because the space is open to the rest of the restaurant, we are not able to reserve it for you exclusively. The space measures 5.3 by 3.5 meters. It fits around 10 to 20 people on its 19 square meters of floor space. Contact us to set up an in-person meeting and tour of the first-floor event spaces. Just make an appointment with Alexander Strauhal. We’d love to help you organize your event. 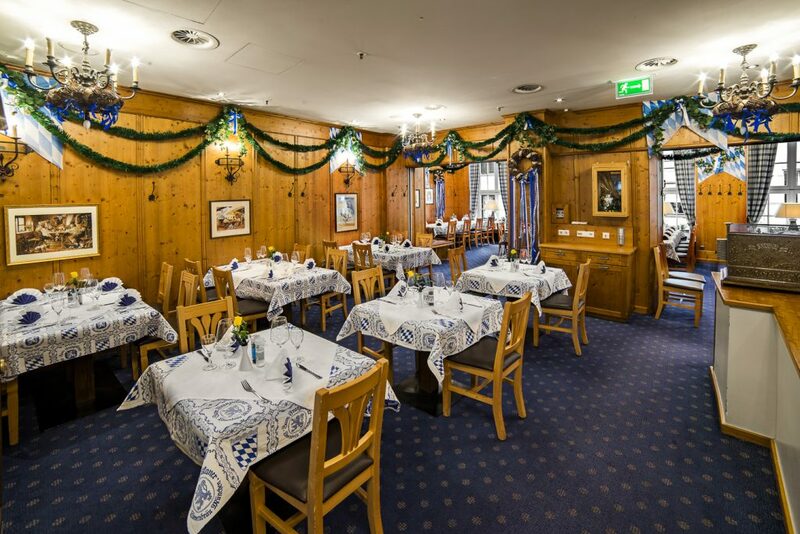 We’re happy to hear from you via e-mail at: reservierung@zum-franziskaner.de or by phone at: +49 89 23181266.